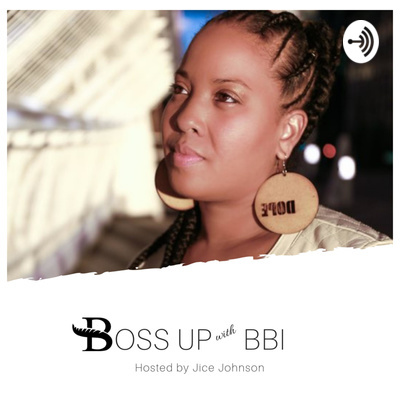 Boss Up with BBI, hosted by Jice Johnson where it's all Black everythang! We out here rooting for everybody Black! 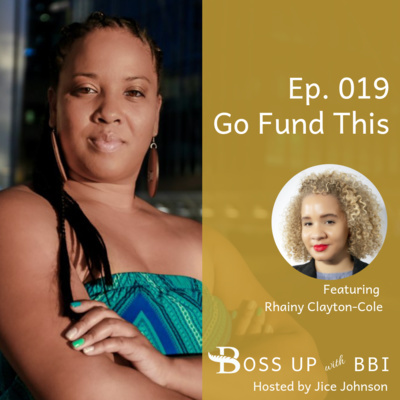 This weekly podcast is where we talk about all things money and mindset in the Black community surrounding the economic empowerment of Black people in America and across the Diaspora. We don't like to talk about money! That's a fact. We either front like we have more than what we got, or constantly preach about how broke we are. This year we put an end to both of those narratives. It's time to tell it like it is. The holidays are costly. In time, money, energy and emotion. In all our hustle and bustle, have we lost sight of the values worth celebrating? How do we overcome 500 years of negative propaganda campaigns? It all starts within. We look deeper within. Garbage in garbage out. Why do we struggle to produce consistent positive messaging around empowerment, wealth, health and legacy? It is time to grow up. “Simply because you’re in an area that is more affluent, it’s still hard for black boys to present themselves as independent from the stereotype of black criminality,” said Khiara Bridges, a professor of law and anthropology at Boston University. With social advances that allow us to share restaurants, busses and water fountains and examples of Black wealth and influence all around, and even a Black president, it feels like we've had a few wins..but have we? There is no denying the oppressive systems that exist in Amerikkka both past and present. Many studies show that being Black is still considered undesirable and untrustworthy. But in this new era of virtual anonymity, do the same excuses still apply? Although we'd like to believe we are motivated by more money, the reality is we are generally scared of money, and it certainly doesn't light a fire under our butts. 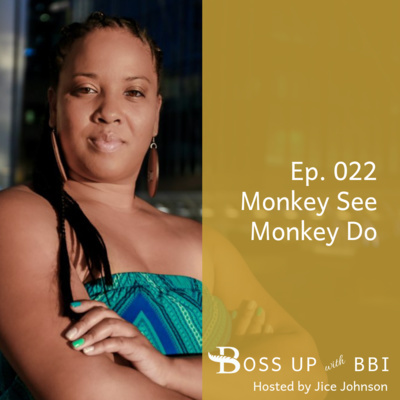 Whether we desire more money and a better lifestyle or we are trying to avoid a financial bump in the road, money just doesn't push us to be our best selves. Before 2018 ends, it's time to get Money Motivated. When White America has a cold, Black America has the Flu. When White Americans are struggling to get their money up, Black Americans are finding ourselves to be Financially Impotent. 008 Why We Always Askin' for a Handout? After hundreds of years of oppression, we have been left depleted and bankrupt. This country certainly owes us a great debt. So now what? Do we wait on our reparations? Or do we put in the work of building our legacy? Love is a verb. An action word. Often, when we love someone, we show them through the things we DO or say. But is that love translated in our Death? When we leave this earth, often on an unknown day, by unknown circumstances, are we prepared to show our families the greatest act of love? With Fall quickly approaching and our youth head back to school, I am once again confronted with the idea that college may just be more harmful to our community than helpful. Are we bettering ourselves? Or are we falling prey to the College Trap? Blacks in Amerikkka and across the Diaspora are certainly no stranger to danger. Is our perilous past responsible for our present-day low tolerance for risk? Or does the responsibility to explore more efficient paths to wealth rest on our shoulders? Today, information is more widely available than ever before. Everything from online classes to one on one coaching exsist to teach us anything we want to, or need to know. Why then, aren't we learning about wealth? What is our issue with gaining applicable knowledge? Or better yet, for those of us that do know, how do we close the knowing-doing gap? 003 Is there A Pathway to Wealth? By 2020...A mere 1.5 years from now, Black households are projected to LOSE 18% of the Wealth we dont have...while White households are expected to see an increase by 3%. And while we're reportedly making Middle class INCOME we have virtually no ownership in wealth building assets. What are we doing wrong? Is it too late to change? Are stuck as a permanent underclass? Or is there a Pathway to Wealth? We've all heard the saying Money doesn't grow on trees. And, better yet, that Money is the root of all evil. Even if we wave off these negative correlations with money as adults, many of us are still living with these mentalities and our bank accounts are proof. In this episode let's talk about how our bad juju with money makes for consistent financial hard times and what we can do about it. Black history is littered with examples of strong financial empires. Even modern day examples such as Black Wall Street illuminate our ability to build and amass wealth. In recent times, those generational wealth building mindsets have seemingly disappeared as we struggle with day to day life. In this episode, we'll talk about some key mindset shifts we need to make to bring back our wealth building drive.